Do you know where it all begins? 1 + 1 = 2…. seems like a reasonable place to start, but what happens after? Well if you follow the sequence, adding the previous number to the next, said sequence flows like this… 1, 1, 2, 3, 5, 8, 13, 21, 34…etc… Why is this important? Are you noticing a different world evolving around you lately? This time is a beginning, and an end, and this sequence is the Fibonacci Sequence, often portrayed as an outward moving spiral, and it is not just a numerical beginning, it is the beginning of everything. For you now, this very moment represents the beginning of your conscious awakening. You are here for a reason, reading this right now. If you are already there, share this info with love. However, if you are new, as many are, just opening your eyes to see the real world around you, this is the beginning for you, the first 1 if you will. You have used the first key, unlocking the first door, leading to the first room, and you will find that there are infinite keys to infinite doors unlocking infinite rooms, but that comes in time. Right now is the first 1, when you identify with your ego self, the first 1, and then your higher self, your soul, the second 1, you have now become 2, you are now twice what you were only seconds ago simply by realizing the clear distinction between your soul and your ego. Well done, stay with me. Your soul feeds from love, your ego from fear, fear and love are the only two real emotions, all else stems from those initial two, an initial duality one might call it. Now you are 2, so what do you choose to do? Continue to live from your ego, driven by material and power and status, or would you rather exist from your higher self, from your soul, bound only to love and compassion and empathy? When you decide, then we have 2 + 1, which equals 3, so now you are at 3. I have gotten you caught up to 3, but the reality is that YOU were already here, you just didn’t know it. 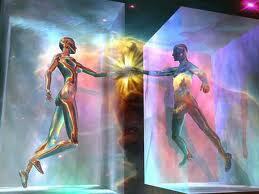 This is a 3rd dimensional construct we are all in, plauibly flowing through a 4th dimension of time. Now it’s up to YOU to decide where YOU go from here. It’s never too late to snap out of the program the powers that be have influenced all of you with your whole lives. Would you rather live free, or continue to live as a slave because you still believe “that is just the way it is?” Like I said, the choice is now yours. Will you remain stuck at 3, or can you evolve higher, from 3 to 5, from the 3rd dimension to the 5th dimension? Now are you starting to get it? Do you see a connection? Are you familiar with Quantum string theory ? (<<<CLICK FOR MORE INFO<<<) Not many of us are, but it really isn’t too complicated to get the gist, which is all you need to know. And note that these are all theories, theoretical plausibilities, nothing here is concrete, it only speculatively makes sense. Continuing… The Fibonacci Sequence can THEORETICALLY align right up with quantum string theory, the actual numbers of the sequence representing spatial dimensions, 1, 1, 2, 3, 5, 8, 13… and the un-numbers representing temporal dimensions i.e. 4, 6, 7, 9, 10,11, and 12, these un-number dimensions are dimensions of time and/or movement, while the numbered ones represent space and/or form. So when you hear people talking about ascension, or awakening, they just mean that you have become conscious of your higher self, which exists bound to the realms of the 5th dimension, and are now seeking to ascend from this 3rd dimensional paradigm to said next dimension, the 5th, via a 4th dimension of temporal time. Got it? Quantum physics isn’t so difficult to comprehend is it? That is why I am here, to translate knowledge and information in a way that anyone can easily understand. About 2 years ago, I woke up one day and somehow the sequence and it’s connection to everything had just become clear. That was my day when my 1 and 1 came together as 2, then I chose enlightenment when the 1 and 2 came together completing the 3 that make up my consciousness here in this dimension. Since then, I have been ascending back toward the 5th dimension, which is initially where we fell from, down to this slower vibrating 3rd dimension of dense matter. These are things you discover as you continue your journey, each day adding to the previous. You see, the sequence plays into everything, including the spiritual growth you experience as you return to your higher consciousness. My experience has more-or-less been documented, almost right from the start, nearly 2 years ago. Many of my personal discoveries have been documented and detailed with videos, links, images, resources, all of which makes up the cornucpoial opus that is my blog. Over 500 posts, over 400 hard copy wriiten pages of information, all free from me for all of you and for none of you. That is actually taken from a quote by Nietzsche, and I use it to illustrate that yes, it IS for all of you, but for those who aren’t ready, they will not understand, hence the none. So if what I have told you here in the intro resonates on your current frequency, do not be afraid to go down the rabbit hole. It never ends, you will see, those of you who choose the higher path of soul consciousness. The path is for everyone, but only when their soul’s journey has gotten there. For those inclined to go further, dive in. The answers you seek are all here, you must only have the will to find them. Wide eyes open. Love to all.